Friday, December 13, 2012, the Feast of Saint Herman of Alaska, marks the 30th anniversary of the repose of Protopresbyter Alexander Schmemann, Dean of Saint Vladimir’s Seminary and a leading 20th century Orthodox Christian theologian. Father Alexander was born in Estonia in 1921 to a family of Russian emigres. He spent his youth in France, where he received his secondary and university educations. He also completed theological studies at the Orthodox Theological Institute of Saint Sergius in Paris, which at that time was the center of Russian Orthodox scholarship after the turmoil of the Russian Revolution of 1917. Father Alexander received his doctorate on July 5, 1959 from the Orthodox Theological Institute of Saint Sergius, having defended his dissertation, “Tserkovny Ustav: Opyt Vvedeniia v Liturgicheskoe Bogoslovie” [“The Church’s Ordo: Introduction to Liturgical Theology”]. He held honorary degrees from Butler University, General Theological Seminary, Lafayette College, Iona College, and Holy Cross Greek Orthodox School of Theology. In addition to teaching at Saint Vladimir’s, Father Alexander held positions as adjunct professor at Columbia University, New York University, Union Seminary, and General Theological Seminary in New York and was a popular guest lecturer at many universities throughout the country. He was also active as a representative of the Orthodox Church in the ecumenical movement, and held positions in the Youth Department and the Commission on Faith and Order of the World Council of Churches. Appointed Dean of Saint Vladimir’s Seminary in 1962 – a position he held until his repose – he was instrumental in educating a generation of Orthodox Christian priests. During his tenure, the seminary achieved widespread recognition as a center of Orthodox theological studies. Father Alexander was active in the establishment of the Orthodox Church in America as an autocephalous Church in 1970, at which time the former “Metropolia” became officially independent from the Russian Orthodox Church, dedicating itself to the unity of the Orthodox Church in North America. While committed to the cause of an Orthodox Church which would be united and American, he always remained concerned with the fate of believers in the Soviet Union. For 30 years, his sermons were broadcast in Russian on “Radio Liberty,” gaining Father Alexander a broad following across the Soviet Union and elsewhere. Alexander Solzhenitzyn, while still in the Soviet Union, was one of his auditors and remained his friend after emigrating to the West. Over a dozen books written by Father Alexander have been published in multiple languages and continue to be widely circulated, including For the Life of the World; Introduction to Liturgical Theology; Ultimate Questions; Church, World, Mission; and numerous articles and tracts. For the Life of the World, a popular volume on Christian faith as reflected in liturgy, has been translated into numerous languages and remains one of the most popular works on Christianity for the general public. 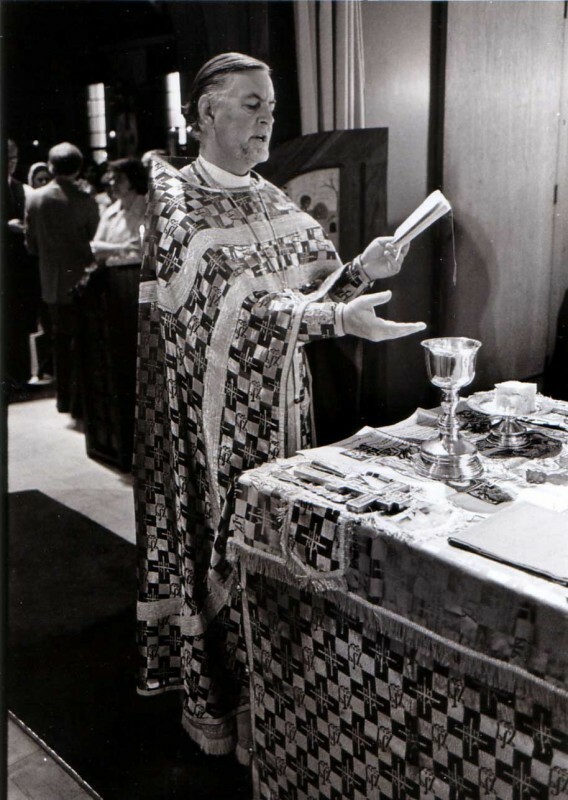 He completed a major study on the Eucharist only weeks before his death. Since his repose, Saint Vladimir’s Seminary has hosted the Annual Father Alexander Schmemann Memorial Lecture. This year’s lecture, titled “On ‘The Mystical Theology of the Eastern Church’” will be delivered by Archpriest Dr. John McGuckin, a leading international commentator on Eastern Orthodox theology and early Christian history. The free and public lecture will be held on Friday, January 31, 2014, after an academic convocation at 7:30 p.m., during which Father John will be awarded a Doctor of Divinity degree honoris causa. Father John is professor of Byzantine Christian Studies at Columbia University, and Union Theological Seminary’s Ane Marie and Bent Emil Nielsen Professor in Late Antique and Byzantine Christian History. Additional information may be found on the seminary’s web site.